WordPrss is a blogging platform. It is one of the most popular blogging platform around the web. WordPress is a content management system like Drupal and Joomla. It depends heavily on user generated content. WordPress is opensource platform, it’s supported by vibrant online communities. The online community supports wordpress by large number of plugins that extend functionality and large number of themes that displays the content in different ways. 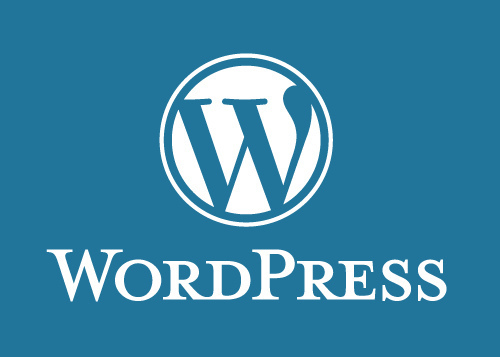 These days wordpress is not just a blogging platform, it developed itself into a full pledged content management system. It is one of the easiest platforms to learn. This is one of the advantages WordPress over other many content management systems. WordPress has a huge number of community to support itself. Both wordpress.org and wordpress.com provide platform where you can interact with fellow WordPress users for getting help on issues you face while using WordPress. There are plenty of meetups also happen with WordCamp. A rich multi language documentatin repository is hosted in www.codex.wordpress.org. WordPress is licenced under GPL 2. Hence if you make a change and distribute then you need to make source code available. 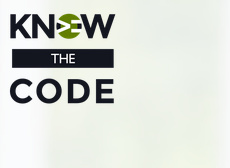 You can make your own plugins and themes commercially available, but you need to make source code available with them. WorPress handles creation, storage, retrieval, description or annotation, and publication or display of your blogs. WordPress also covers workflow tasks , from the perspective of editorial and publishing , includes actions such as approval and marking content for additional editing or review. WordPress allows multiple contents by multiple authors and multiple roles. All these can be handled in the administrative dashboard. The data model used by WordPress uses a rich set of tables to manage categories, content tags, author information, post date, comment data and other cross reference data. A content Management System is measured by its utility of content. It is important to users consume its content. One cannot just write some posts and hope that readers would come and read it . There are many steps needed to make readers to notice new posts and engage in conversation. Social networks, feeds, taking steps to make search engines to index your site will drive visitors to your site. Graphic elements , branding and also most importantly content makes visitors to participate in your website. Updates to twitter feeds, updates to facebook fan page etc play a role in bringing readers to your website. WordPress can also be used to develop static webpages that are good for advertisement of small organisations. WordPress blogs can be self hosted or can be hosted in wordpress.com. You can have your own subdomain on wordpress.com and have a free blog. But that does not allow you to install plugins or themes of your choice or alter code to have your own functionality. Self hosted WordPress blogs provide full control over your website. Depending on the number of visitors and number of functionalities requried you can choose your hosting plans. WordPress is designed to run well even in shared hosting platforms. You can also install locally on your server for development. Your local server should have a webserver like Apache running and MySQL server to be running. WordPress is designed for URL rewriting. You can choose to have your own URLs for your piece of content. You can run multiple WordPress sites on a same server. Download the WordPress code from the wordpress.org and store them into your server’s directory structure. After copying the code, just point to the URL of the directory from your browser and run. In the first time it runs installation page. Create a database in MySQL where your WordPress data must be stored. In the installation page provide the details of your MySQL database name, username, password , host. Once it is approved in the next page give details about your WordPress site like site title, site slogan, administritative user name etc. After taking these information WordPress finishes installation and you are ready to make your first post. Your blogging platform is ready now. Just write few posts and share it on the social networks and engage with readers. If you want additional functionality you can choose to install plugins from your dashboard. If you want change in the appearence of your website, just add a new theme to your website. You can also add different menu structures to your website using dashboard. Wonderful to become part of WordPress family of writers. WordPress is helping and powering millions of people to become writers and spreading it into the world. Lots of info, Good job!